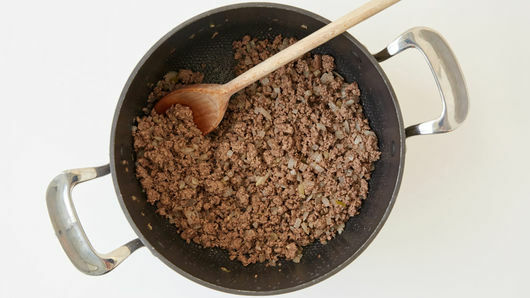 In 3 or 4-quart saucepan, cook beef and onion over medium heat 8 to 10 minutes, stirring occasionally, until thoroughly cooked; drain. Stir in remaining ingredients; heat to boiling over high heat. Reduce heat to medium-low; simmer about 10 minutes, stirring occasionally. Use 1 lb lean ground turkey for the ground beef, and cannellini beans for the kidney beans. If you don’t have Sriracha sauce, you can add 1/4 teaspoon ground red pepper (cayenne), 1/4 teaspoon crushed red pepper flakes or 1/2 teaspoon hot sauce. Add more if you like spicier chili. Satisfy your post-work dinner cravings with this quick, easy chili recipe. Made with ground beef, assorted spices, Progresso™ kidney beans, diced tomatoes and sriracha sauce, this chili comes together in 30 minutes, and it has just enough spice to wake up your taste buds. Spice not your thing? Serve a bowl of chili with a dollop of sour cream and shredded cheese to help balance out the spice. Chili may be one of the most debated dishes out there, and there are many ways to make it. We know one thing is certain: every version is delicious. 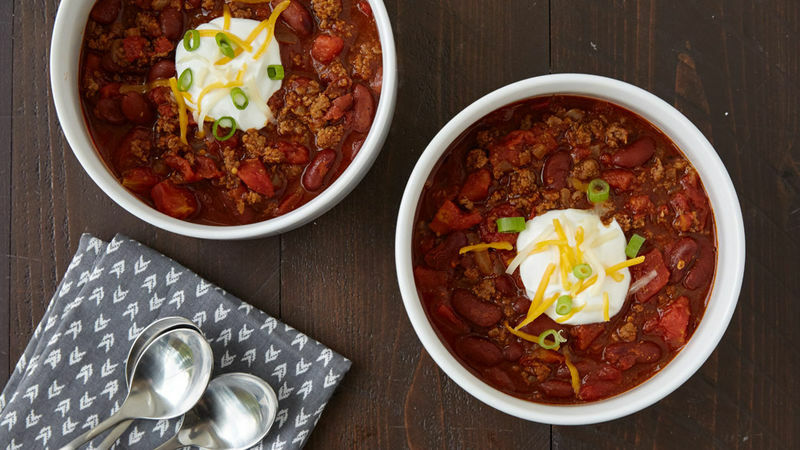 Check all of our chili recipes out and see for yourself! Are you a novice cook? Don’t be intimidated by chili—it’s easier to make than you think. 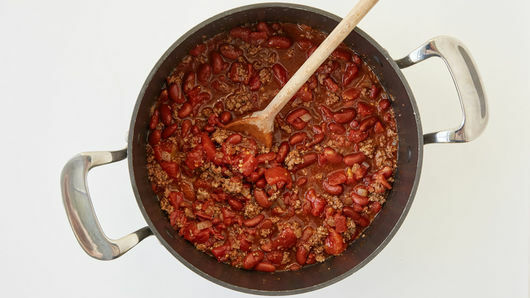 Learn how to make chili with our kitchen-approved method.